I’ve been using Comcast (Xfinity) for my home Internet service since 2003, prior to that I lived in a house that had multiple T1s (back when megabits of home Internet was very rare). It is somewhat hard to imagine that in such a short period of time we went from hardwired home Internet being measured in kilobits to almost every mobile device we own being capable of sustaining 10s of megabits while roaming about. I had been holding onto my Comcast Teleworker discounted ‘business’ Internet after leaving VMware, waiting for Google Fiber to come to town as Portland was supposed to be on the relatively near future roadmap and I was trying to avoid adding more unsightly aerial cabling to the exterior of my 110 year old house. As neat as modern technology is, it doesn’t really go well with the architectural detail of an old craftsman home. Since Google Fiber is now dead I decided to proceed with the next best option, Century Link. I never thought I’d suggest that Century Link (formerly Qwest, formerly US West, aka US Worst) was a “best” option for anything. I worked for large national ISPs for my early career, and US Worst was always one of the most problematic carriers to deal with. I still have flashbacks about the escalations and yelling customers, but best was when their tech and manager didn’t realize they were connected to voicemail while planning how they were going to lie to explain way their fault on a prolonged outage impacting several of our customers. Fast forward to today, I ordered Century Link Gigabit to be delivered to my house. I had read many nightmare stories about this on Nextdoor but figured I’d go the lower risk route and order it online where I could have a paper trail, I tend to never sign up for a contract sold by a solicitor that knocks on my door. The order went smoothly online, and amazingly they were able to install in less than a week later. The tech arrived at the beginning of the instal window and spent much of the day running the fiber around our house to the only possible entry point. What didn’t go well is that Century Link forces you to either buy or lease a “modem”, which is their name for a really crappy router. The only thing special this “modem” does is it supports VLAN tagging on the WAN interface. This router offers WiFi, but it only supports 802.11n at the fastest…you are reading correctly, you are required to buy a router that has a max wireless rate of around 100 megabit in order to buy gigabit service. I had found a few blog posts online hinting at how to bypass their router by putting into “transparent bridge” mode, but I didn’t see any reason to even power this crappy device. The tech hadn’t even finished cleaning up outside before I had converted back to using my Asus router, my 4-year old Asus readily blows away this brand new required POS. How did I do it? Its not so bad, there are a few blogs that you’d have to go to get all of the hints but they all leave out how to get the full thing working. I was able to get better service using my own router than using the one provided, especially when you include IPv6 in the comparison. I’m not going to include screen shots of all of the steps, as I would like to believe that anyone tackling this can figure it out from the high level steps (and I am too lazy to turn the CL router back on in order to document it). In my case the CenturyLink 2100T ZyXEL C1100Z was what was “sold” to me against my wishes. I assume you know what cables to plug into where on your router and that you know you would need to move the WAN link that comes from the ONT from the Century Link router to your own, so I won’t include that detail here. I have Internet *only*, if you are also subscribing to PrismTV there may be additional settings required. Press enter, you are now in a busybox shell. Congratulations, you now have the PPP info to configure your personal router. You can proceed to configuring PPPoE on your router WAN link, the only other thing you need to know is that you must tag the WAN with VLAN 201. On my router’s 3rd party firmware this is under the settings for IPTV. Now you just need to configure your router, I will include screen shots to help you on this portion. Your settings may be called something different than what is shown, but there should be a functional equivalent. If you do not have the ability to configure VLANs on your router you have two options, installed 3rd party firmware or just accept using the Century Link router in “transparent bridge mode” (as set on the WAN configuration under protocol settings). That should get you up and running on the Internet, however I wanted IPv6 support as I use it for some work projects. I tried to guess at this but realized the best plan was to reconnect the Century Link router, go into the advanced settings and enable the IPv6 network features and capture the details for re-use. I don’t know how generic these values are, some of them could be region specific or they may use any cast addresses allowing them to be universal. Based on the Century Link support pages I assume these are universal. You may need to reconnect your clients so that they get new DHCP info after making these changes, if you use static IPs on your workstations you will need to do your own magic to get them to also work with IPv6. I use static IPv4 addresses on some devices, but just leave IPv6 configured for DHCP. After making these changes I am able to score 19/20 on the IPv6 test, only lacking inverse DNS which I can’t do much about. I did have to also enable “Respond Ping Request from WAN” on the firewall pages, as IPv6 requires more ICMP control messages than IPv4. If you hit a wall you can drop a comment and I’ll try to fill in any details I missed. If I end up swapping to a different router (e.g. something running pfSense) I will post an update, but the settings should be the same regardless it is just a matter of translating them to a specific configuration nomenclature. Wow, its been 3 years since posting this thing and it still gets quite a few hits. 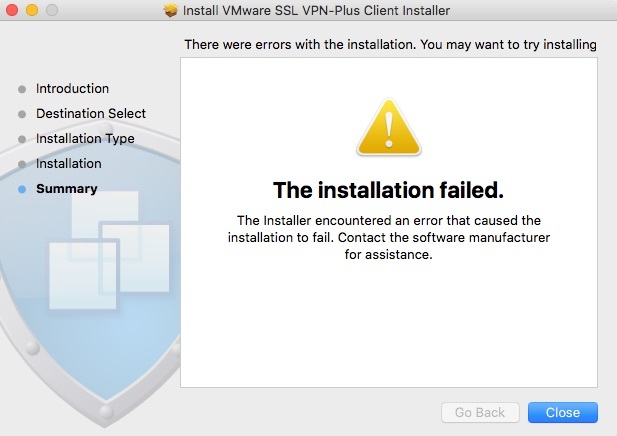 The problem did get worse with Yosemite due to required code signing, however VMware corrected the problem with the naclient that was bundled in NSX 6.1.3. If you have the naclient installed before upgrading to El Capitan it also works, in my limited testing. I have heard that trying to install it on El Capitan may encounter issues due to a similar version table as noted below, I have not had a chance to test it on clean install and only tested for Yosemite to El Capitan upgrades. 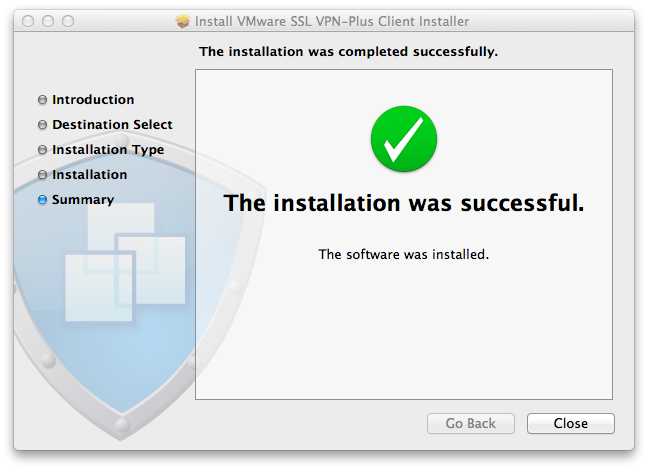 The addition of client oriented VPN to the vCNS “Edge” (formerly vShield Edge) is a big win, however anyone that attempts to use the product on the current shipping version of Mac OS X will find that it fails to install. We are using the SSLVPN heavily for a project and encountered this, I decided to dig into the details. Installer: Displaying ‘Install Failed’ UI. 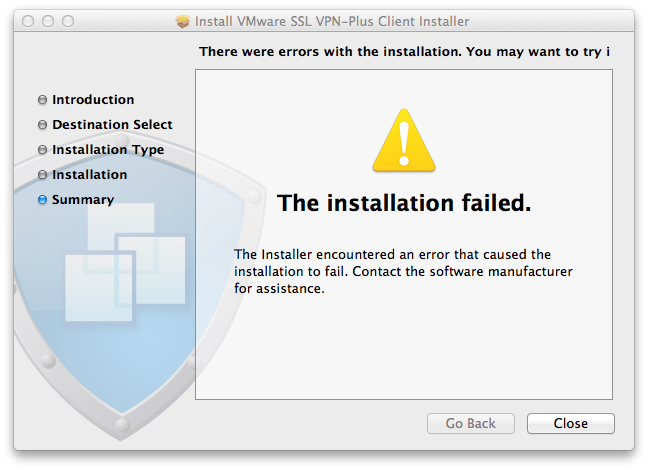 Installer: ‘Install Failed’ UI displayed message:’The Installer encountered an error that caused the installation to fail. Contact the software manufacturer for assistance.’. 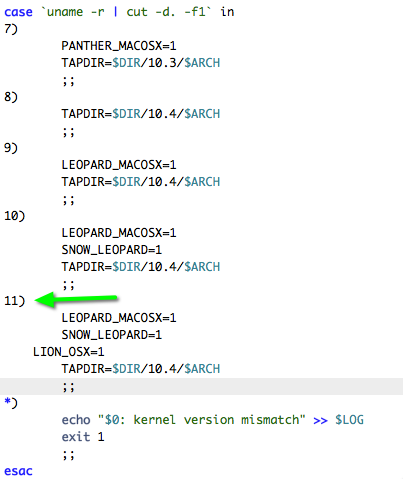 In order to fix this you need to define the Mountain Lion kernel as being valid. 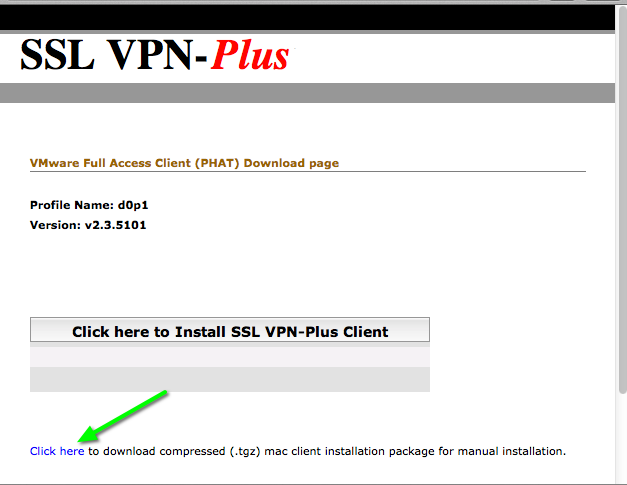 To do this, instead of installing the SSL VPN client from the web interface select to download the zipped file. 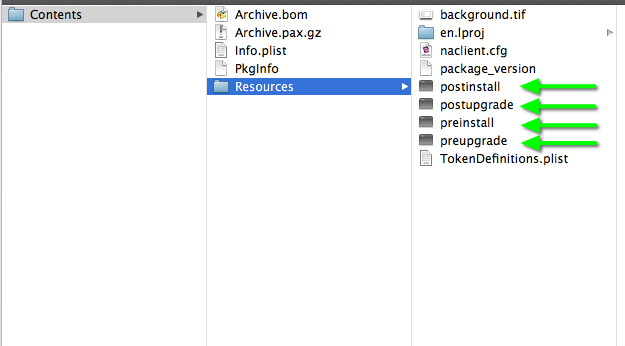 Extract the contents of the file and you will have a “naclient.pkg” file. 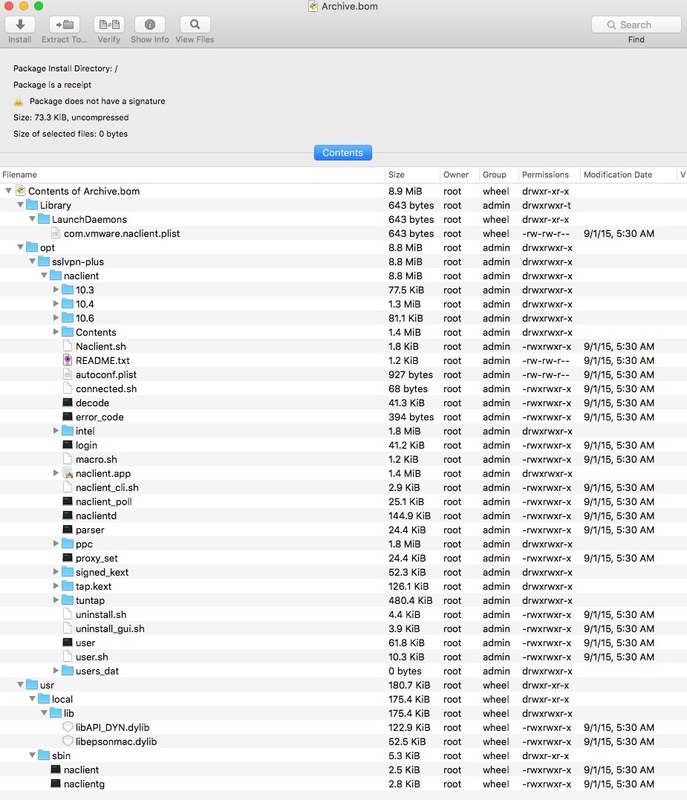 Like many “files” on OSX, this is actually just a special directory…you can either access the contents via CLI or right-click (or Ctrl-Click) and select to “Show Package Contents”. We can also see that they were nice enough to support all the way back to Panther (released in 2003) but that there is no definition for Mountain Lion. If we execute this command on Mountain Lion the response is “12”, however “12” is not defined as a valid kernel version. The reality is that Mountain Lion is close enough for most apps to be considered “Lion”, so we will add this definition just the same as for Lion itself. 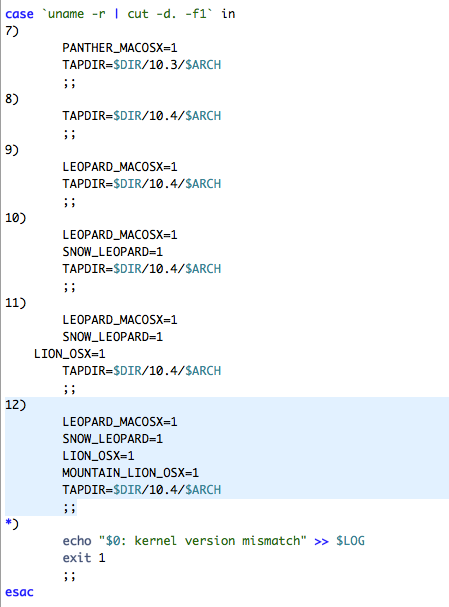 We will edit the 4 files that are indicated with the arrows, these are shell scripts and you can edit them with your text editor of choice, all 4 files need to be edited exactly the same just adding a definition for Mountain Lion. Save your changes to all four files including “postinstall”, “postupgrade”, “preinstall”, and “preupgrade”. 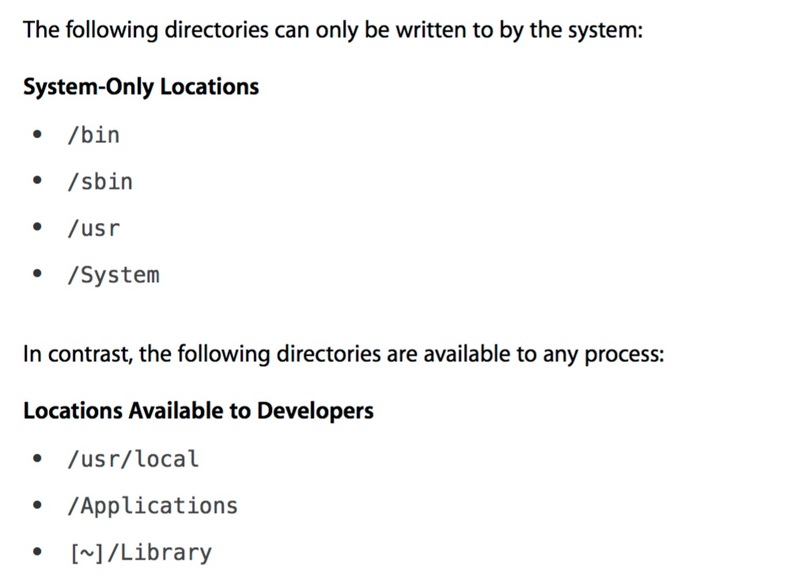 Browse up the directory structure until you see the naclient.pkg and run the installer again. I owe thanks to @jakerobinson for this as he actually found the solution. 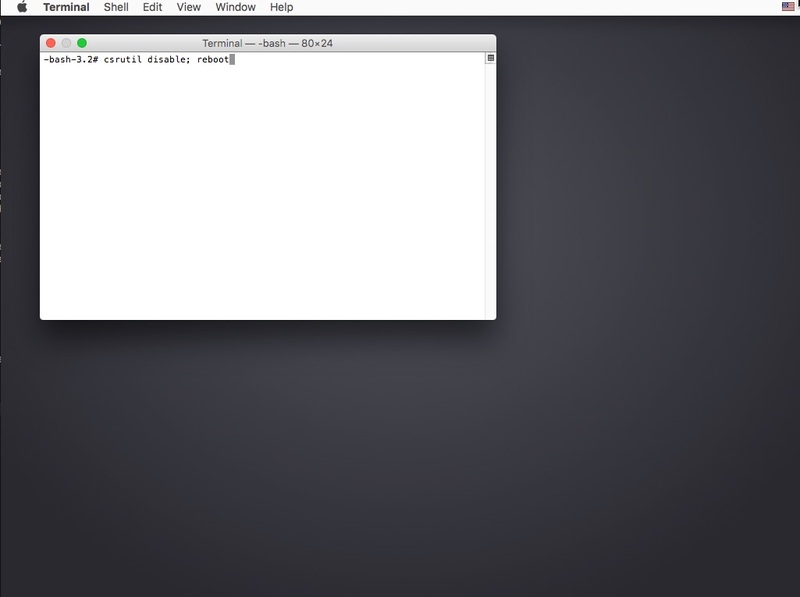 Unfortunately it is not possible to get the naclient to run in any reliable fashion on Yosemite. I have spent a lot of time on this and ended up using a Mavericks VM in Fusion to get the client to work for the day job. naclient is dependent up on some kexts to load at system boot, however the method invoked to start these has been deprecated for multiple major releases of OS X and were removed in Yosemite. 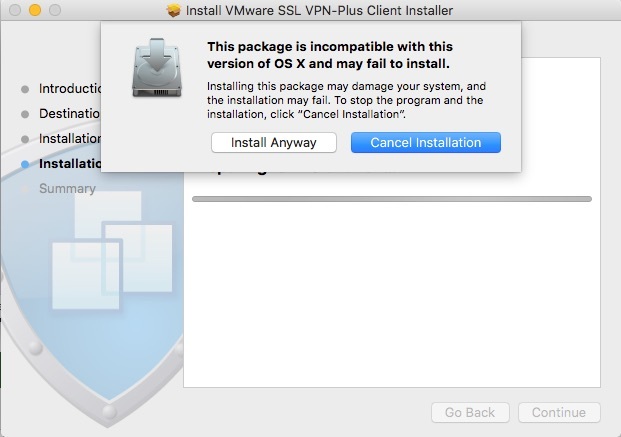 The problem extends beyond the lack of signing, it is another example of VMware failing to support OS X even as the company issues Apple systems to a large number of employees and all new systems come with Yosemite pre-installed. I will try to find time to write up my work around, it uses a VM but allows me to use that VM as a very heavy VPN client but I am able to use my (limited) apps in Yosemite as I normally would. 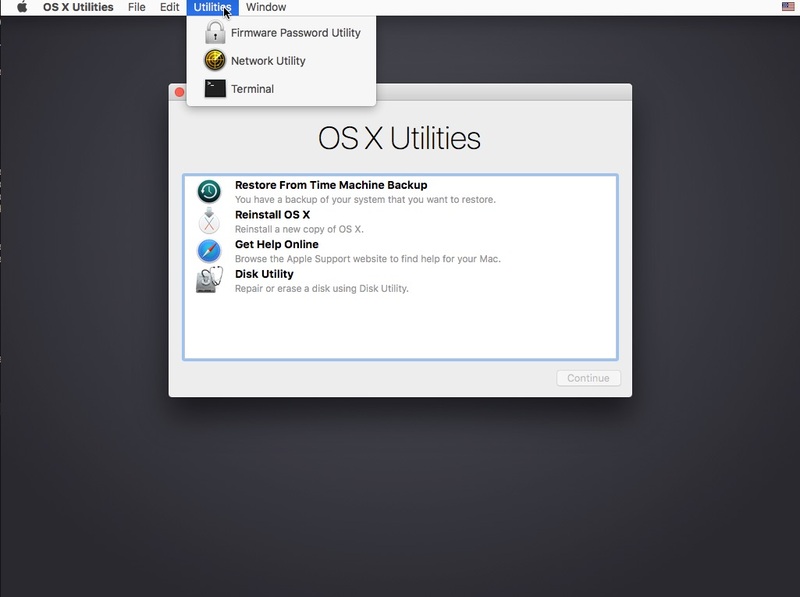 Rather than keep adding content to this post, I created new blog post with the work around for OS X El Capitan and it can be found here.